It has been a little bit since my last post. I am still working on the Spring blanket from the previous post. 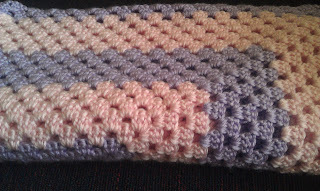 Since it's a lapghan, I tend to take longer as I grow impatient and my interest wanders. I have let it wander over to baby blankets, as of late. 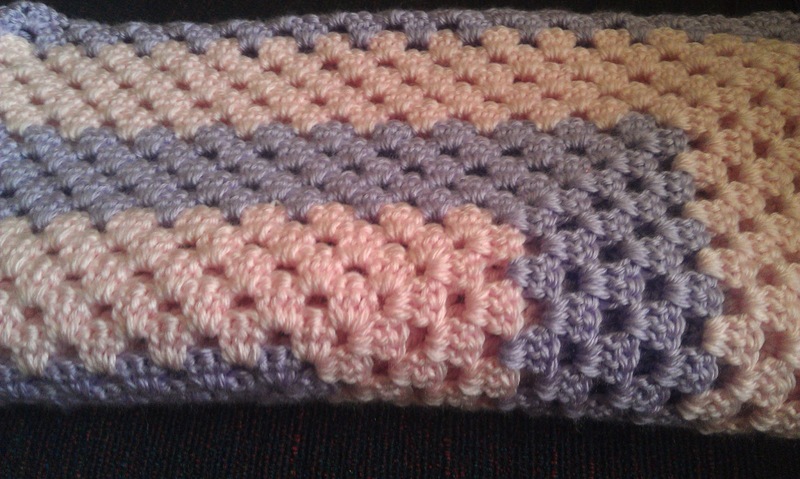 I took a sidetrack and made an adorable pink and purple granny square baby blanket! 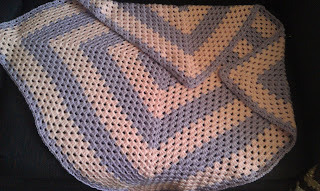 I intend on making a few more, some in blue, some in a nice pastel green. I'm hoping to sell what I make. They are made from 100% acrylic yarn, Bernat Satin brand (soft!). They measure roughly 31" square (give or take!) I'd like to get $25 each. I'll be researching into posting them on ebay and other places over the next two weeks.